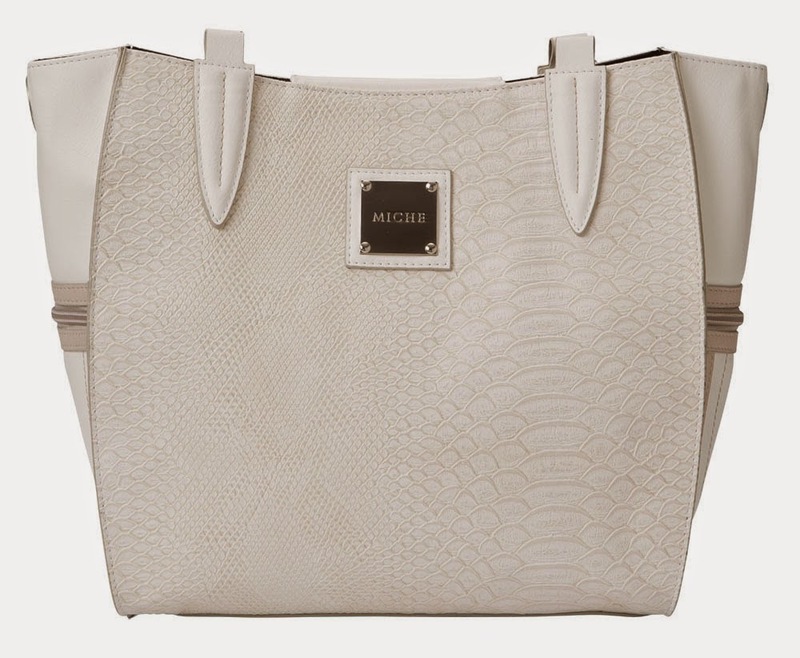 Elegance in design, along with subtle details, makes the Lordes for Demi MICHE bags a must-have for your collection. Embossed faux snake in eggshell features smooth off-white and taupe accents, reversed seams contrast stitching, and appliquéd tabs. Zippered side pockets make Lordes absolutely irresistible. Rectangle bottom; silver hardware.